Purple Martins: Wild bird or Pet? Sharon Stiteler from www.BirdChick.com has done a great job bringing birding to masses of people. I mean let’s face it, she is the Oprah Winfrey of Bird Bloggers. Her claim that she is showing the world that “you can be a birder without being a geek” is very true. 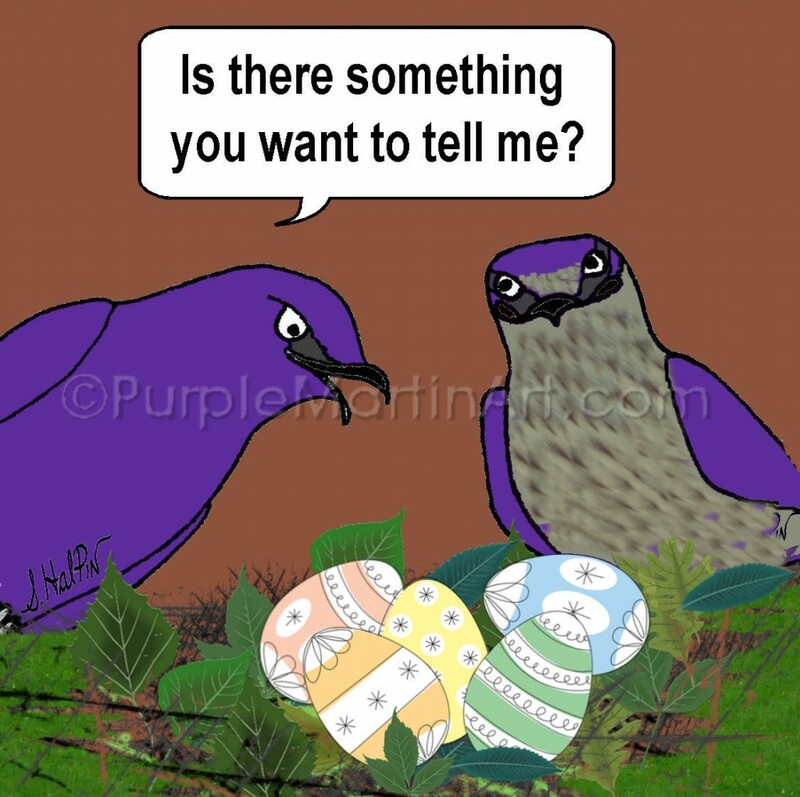 Recently she posted a blog post about my favorite bird (and yours) Purple Martins on www.BirdChick.com. Usually I enjoy her writing immensely, but while reading this one I found myself at first feeling defensive of my hobby but then quite protective of my “pets”. Us landlords are familiar with the story of the history of Purple Martins. For those that don’t know the history of purple martins a great article is at the PMCA website. Though Sharon sees our meddling in the affairs of purple martins as interfering with natural selection, I see it as a continuing of a symbiotic relationship with these birds that gave up their natural ways to help us. Though we don’t need them to warn us of vultures or birds of prey that are trying to eat Buffalo meat hung up to dry, or to chase crows from crop fields or even as natural flying insect control anymore; I find it comforting to know that I am fulfilling the promise made by those Native Americans so many years ago. That though we, as the human race, may have outlived the usefulness of Purple Martins in a practical sense, that we will stand by what we began. Maybe Ms. Stiteler will reconsider her stance? I am embarrassed to admit how late I am doing my first nest check. It is just a shame. I will use this experience to prove that you can still have a life and be a purple martin landlord. Since many that are not stricken with this purple fever seem to think that those of us who are…are quite insane. On Saturday April the 17th, I checked 35 compartments out of 37 and have a grand total of…(drum roll) 153 eggs! Most nests had 6 eggs with some having 5 or less and a couple having 7 eggs. I worked fast as many are already incubating so I have NO idea when some of these will be hatching. I know, that is bad. It is always a good idea to check on nests around hatch time to check for capped eggs. A capped egg is when the partial shell from a hatched chick falls over top of an unhatched egg and traps the chick inside. Entombed within 2 shells the baby is unable to peck its way out and dies. By doing nest checks around hatch time, empty shell pieces can be removed and capped eggs discovered in time to save the little life inside. I suppose, talking to avid purple martin lovers all day, I tend to forget that some folks hate birds. I am sure these are the same people that move next to a garbage dump and then complain about the smell. But it is what people do with that hatred that has me laughing today. I received a call a couple of days ago, from what I assumed was a customer. The lady proceeded to tell me that it was not she but a neighbor that has “many” purple martins. She was calling from North Carolina (I am in Florida) to complain about her neighbors birds and how their chirping is keeping her and her husband up all night. I was confused…did she want to join in the purple martin madness and join her neighbor in hosting martins? I mean, geez, what would you be calling a retailer to complain (long distance) about something that you should walk next door to talk about? I liken it to me calling up Walmart to complain about my neighbors affinity for “Made in China” clothing. Are you kidding? Well, I patiently and gently explained how the birds, having just returned and in overdrive breeding mode are very happy to be home and the males are so eager that they are often heard singing in their nests to their mates. I assured her that if they were the same as my birds, all would be quite within a week or two when eggs start getting laid. As the males move from Casanova mode to daddy mode, they will quiet down. The clouds never seemed to part at all today and lower temps brought the martins to their perches while a fine drizzle came down intermittently. Puffed up and staring out at each other the martins and I were not much for vocalizing as we usually are. I have been kept quite busy with my finches (indoor in cages…NOT wild). Tomorrow I hope to get the first nest check in as I have seen many birds bringing leaves and tree bark into their nests over the last few weeks. I put plenty of pine needles in the nests which makes me wonder why I have not seen the usual stealing of nest material as in years past. Nor have I seen them bringing in more pine needles…just leaves. 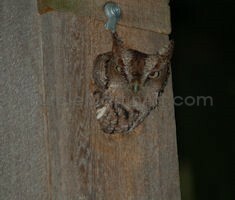 In any case tomorrow I will do a nest check and find out. I am laying bets that I will find several nests with eggs.